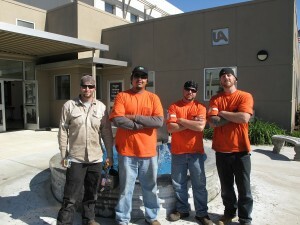 Central Valley Pipe Trades Training Center has its own YouTube Channel, click on this link to take you there;http://www.youtube.com/user/Local442Videos/videos. 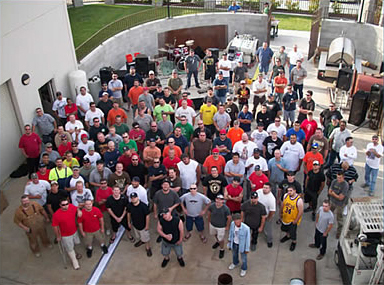 The piping apprenticeship is a five year program where you will earn as you learn. The starting pay is $19.01 per hour and you will receive an upgrade every 6 months which will include a $2.00 per hour raise. Along with the on-the-job training you will attend school two nights a week at our state of the art training center. Ask Yourself These 3 Questions? Do you like a change of scenery every once in awhile? Do you like to work with your hands and your head? Would you like a career with a real sense of accomplishment? APPLICANT MINIMUM AGE OF EIGHTEEN (18) YEARS OLD. Proof will be required at time of application. All applicants must possess a high school diploma, high school proficiency certificate, or General Education Development certificate. In addition, all qualified applicants must be able to read, write and speak the English Language. Applicants must be physically able to perform all work of the occupation. A physical examination may be required by individual approved employers. If a physical examination is required by an employer, the cost shall be at the expense of the employer. Applicants must be able to pass a pre-employment drug test paid for by the committee. Applicants must possess a valid California Drivers License at the time of indenture. You will receive 1 extra point on our application process for each year served active duty, after receiving at least a 75% on the application test. The written exam is 100 questions and consists of reading comprehension, figure visualization, mechanical ability and basic math. You must obtain at least a 75% to pass. Click here to print the apprenticeship application! This part of the test consists of reading a 5 page typed article in 15 minutes. You will then have to answer 25 true or false questions from memory. You will have to look at a two dimensional pattern and envision what it would look like if folded on the dotted lines. You will have to look at some illustrations and answer short questions about them. Questions are on leverage, direction gears are turning, or on area. The math part of the test is worth 50% of the test. It includes addition, subtraction, multiplication, long division, addition of fractions, subtraction of fractions, multiplication of fractions, division of fractions, converting percentages to decimals, and you must know how to convert improper fractions into proper fractions (lowest terms). You must also know how to read a tape measure. Take to the third decimal place, no remainders. 1) What is 976.87 ÷ 6.78? 2) What is 6/64 + 9/32? 3) What is 14 5/8 – 12 3/4? 4) What is 1895 x 456? 5) What is 6′ 8″ in inches? 6) What is 1/3 x 3/4? 7) What is 2/3 ÷ 3/4? 8) What is 16 ÷ 3/4? 9) Chance 1/8 into a decimal. 10) Change 35% into a decimal. 11)What is 12 x 1/3?